It's a spider with two tails! Because the world was in need of just that little bit more spider. 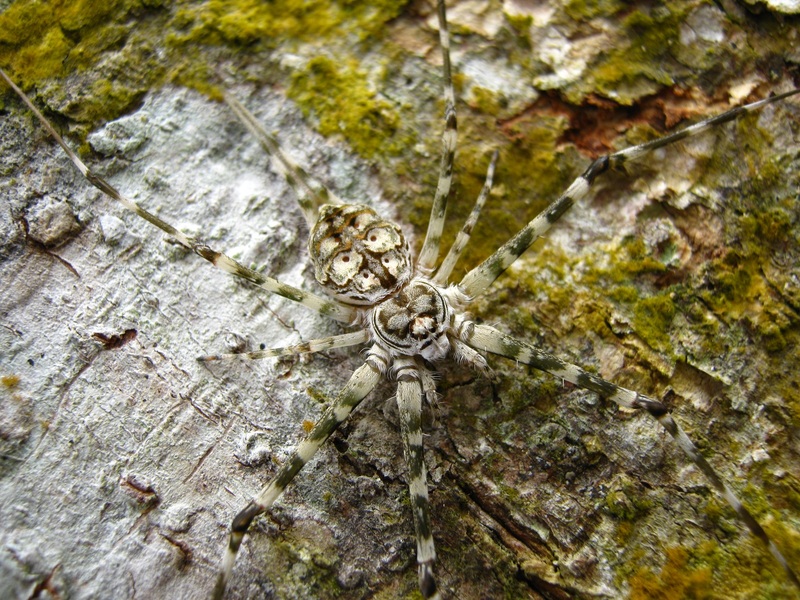 Two-tailed Spiders are some 150 species belonging to the Hersiliidae family. They're found predominantly in the southern hemisphere though a few species extend to warm parts of North America, Europe and Asia. I suppose they're named after Hersilia, a Roman goddess who was married to Romulus and became a kind of goddess of courage. What that has to do with a spider with tails, I have no idea. Maybe she was just languishing on the list of god and goddess names that hadn't been used yet. Or maybe whoever named them was terrified of spiders and was in the habit of calling her name in times of strife and it just sort of... stuck? 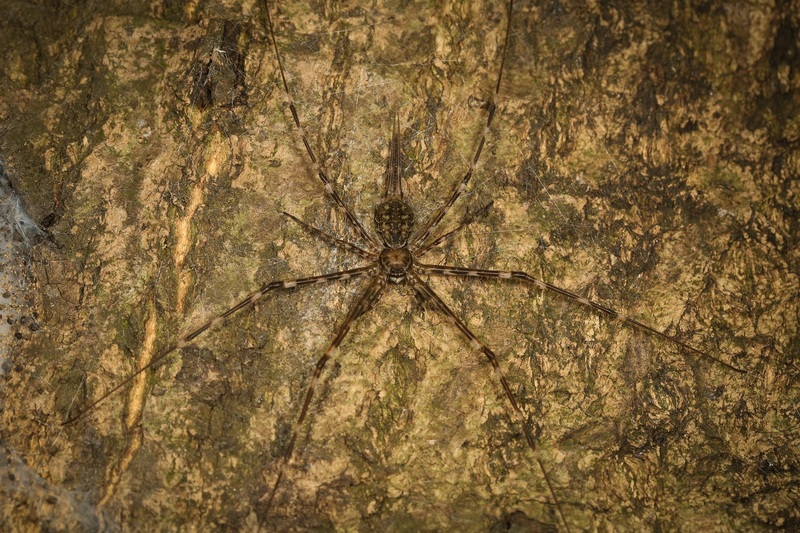 Two-tailed Spiders certainly look like one of the more alien spiders out there, with their somewhat heart-shaped bodies and long, sprawling legs. Actually, only six of their legs are particularly long. In some peculiar quirk, two of their legs are actually rather stubby. We all need a schtick, right? Or perhaps the tail took up some of their "long, thin, sticky-out bit" quota. It's the madness of bureaucracy. I myself have been trying to grow a tail for years. The number of forms you have to fill out is ludicrous. 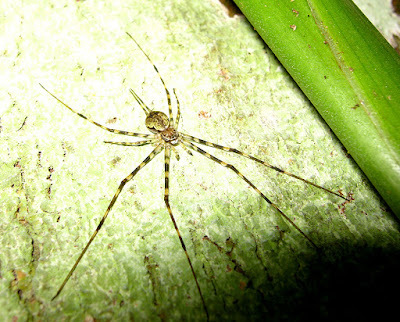 Having said that, Two-tailed Spiders are quite small, reaching at most 2cm (0.8 in) in body length. Though that doubles when you add the tails. 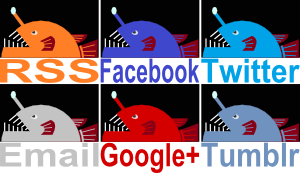 Or should I say the "so-called tails". They're actually spinnerets. All spiders have spinnerets, they're the organs that produce spider silk and we all know how much spiders love their silk. I myself have been trying to acquire some silk from a spider and her prices are ludicrous. Still, few spiders have spinnerets as remarkably long as the Two-tailed Spider. That's why they're also known as Longspinneret Spiders. Despite all that, Two-tailed Spiders are hardly the master craftsmen of web design. 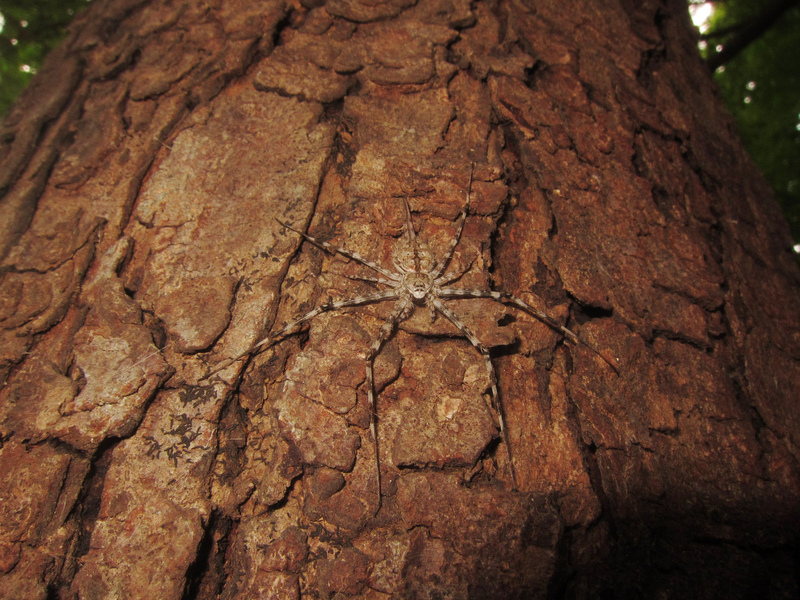 They simply use their camouflage to hang around on tree trunks with strands of silk beneath their feet and extending some way across the bark (that's why they're also known as Tree Trunk Spiders). When the pitter-patter of tiny feet alerts them to the presence of an insect, they quickly move into action. She turns around so that her spinnerets face her prey, then she runs around it in a circle over and over again, shrouding the poor blighter in layers of silk as she goes. Once it's immobilised, she can apply a venomous bite and feed. Eh... should've known it wasn't made for wagging. Thanks for sharing. I love this blog!